Learning about how to setup a generator is mandatory if you decided to purchase a generator for you. In general, people wanted to buy a portable generator because it is most suitable for home use. Rather people get more intend to buy it when there come an alert of a storm or climate change. Moreover investing in a generator means saving a lot of time and get relief from serious loss. How much power will you need be proportional to how many watts it can generate? In this case, know about both the surge capacity and normal load. Learn about what each circuit in your home’s circuit breaker box powers and your demand of circuits during an emergency period. It is also a matter of fact that, how many appliances you want to keep running at a time. For example, you may want to power the washer, electric dryer, refrigerator or air conditioner at the same time. Here you have to count from the extreme one and another one which difference is almost 10,000 watts. 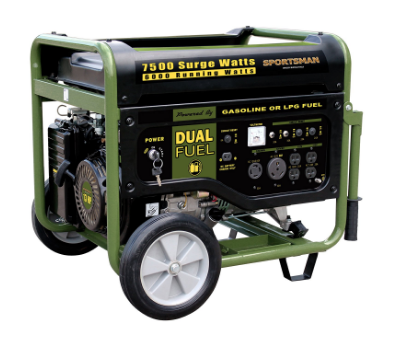 Now determine what type of fuel source you want your generator to use for running. With this in mind, do you have a propane tank or have natural gas already in your home? Is that yes then this is the most convenient way to look for. Either if your house has an oil burner with a big storage tank then a diesel-fueled generator will be okay for you. The largest generators use propane, diesel or natural gas whereas the smallest ones use gasoline for this purpose. Among all these, propane is the best to store. Moreover, it does not degrade over time. Otherwise, both diesel and gas requires quick preservation. Henceforth it’s recommended buying tax-free diesel for generator. So you do not have to pay highway taxes when you need to use it for highway roads. It actually depends on your need. Think about your requirements if your need is between 6000 watts then you should go for a portable generator. Otherwise, buy a permanent installed generator if you need is more than 10,000 watts of power. There is a great benefit in using permanently installed generators. Since they designed with automatic switch on when the power goes out so there is nothing worrying about switch on manually in it. These types of generators mostly run on propane or natural gas. So there occurs no messy pouring of fuel into the tank. Not only this you will get a programmable option for running it every week for half an hour or more, that is truly a plus point for every user. For this reason you will get the machine available in emergency cases, get it working and well lubricated all the time. However in case of portable generators they most of the times remain idle in the garage; run on gasoline and less expensive. If you want to hook up this generator, the best way is to have a transfer switch installed on the unit. If not so you will require hundreds of feet of extension cord running from your home during the emergency periods. No matter which type of generator you select but before running just follow the user manual properly. Of course how to setup a generator do not require any technical expertise. You all need to run it for two to four hours in the morning and other two to four hours in the evening for having the best service.